Meet Nine the mouse. 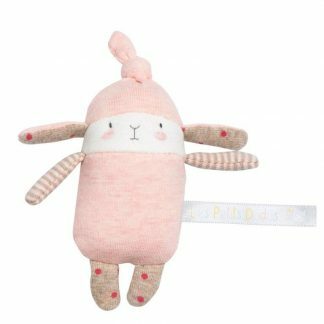 She is a lovely soft, floppy toy with beans in her tummy. Nine is all ready for bed and wearing pink and brown jersey pyjamas and pink socks with a yellow heel. 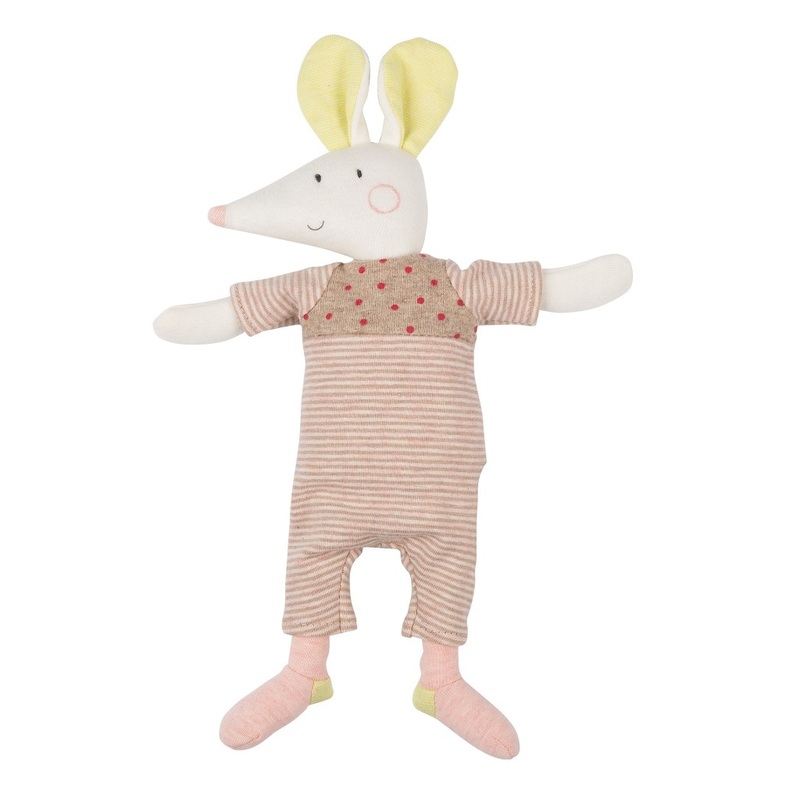 With her sweet face and rosy cheeks, she’ll make a lovely companion for your little ones at nap time. 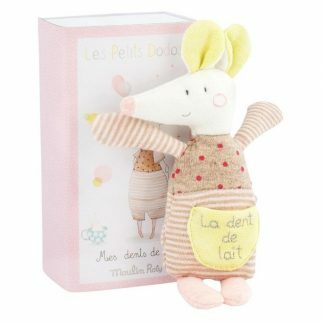 This Les Petits Dodos soft toy is suitable from birth and machine washable. Approx 28 cm.